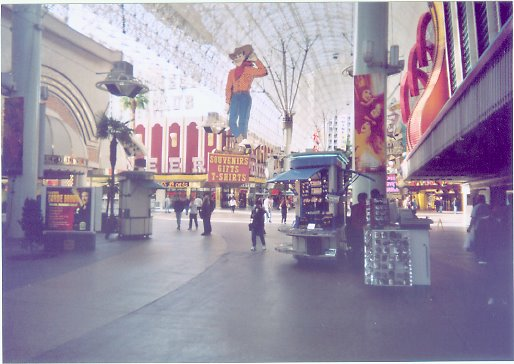 This is a photo of Pioneer Pete on Fremont Street downtown a long time fixture of Las Vegas. It sits on top of the old Pioneer Casino which has been a souvenir shop for many years. In downtown they have been trying to put many of the old historic casino signs on display as possible.